The San Diego Surf Ladies is an all women’s surf club founded February, 2004 by Jennifer (James) Simmonson to create a supportive surfing community for women surfers in the San Diego area. SDSL has provided many social surfing activities for its members including: a monthly Waikiki surf session geared for those that are relatively new to the sport, or prefer gentler waves, a monthly Shredders session which is geared for those that shortboard, a monthly Shaka session for all skill levels, annual Christmas, Anniversary and end of Summer parties, and all kinds of fun events in between. But SDSL members don’t just stay local. Members have traveled together to places like Baja, Mexico, Costa Rica, Australia, and Hawaii seeking great waves and sharing the stoke. SDSL also provides unique opportunities for improving our skills and becoming better surfers. Sport sessions give members an opportunity to work on surfing skills in a supportive environment, through professionally coached surf sessions, core strength and fitness workout sessions, and video monitoring and analysis. And finally, as members of a larger San Diego surfing community, SDSL values supporting and giving back by providing volunteer support through our adopted beach at Cardiff Reef, participating in the Boys to Men 100 Wave Challenge and other local community surfing events and beach clean-ups. 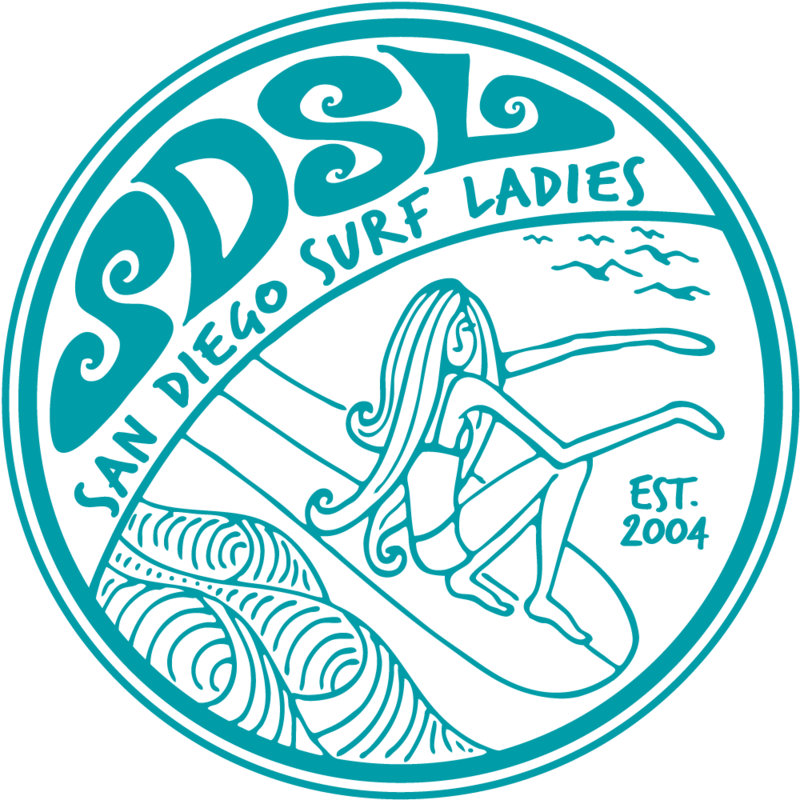 SDSL is a dynamic and diverse sisterhood, and encourages women of all ages and levels to develop surfing skills, have fun, and share the stoke. Join us for fun, community, and waves!